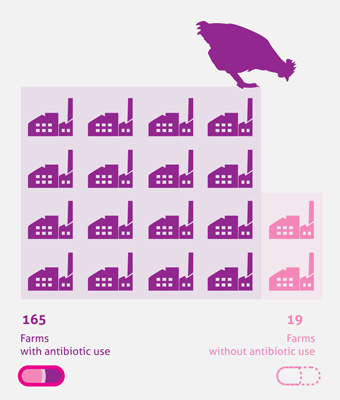 Large scale chicken factories, for example, use antibiotics on a regular basis. Massive use of antibiotics can lead to antibiotics-resistant pathogens affecting animals as well as humans. By contrast, vaccination does NOT lead to antibiotics-resistant pathogens, thus protecting animals and humans alike. For the majority of mycoplasma infections, there is no effective commercial vaccine, which presents a problem not only to the European economy (e.g. M. bovis in cattle and M. agalactiae in sheep). There is an urgent need worldwide for new and better vaccines against Mycoplasma pathogens.